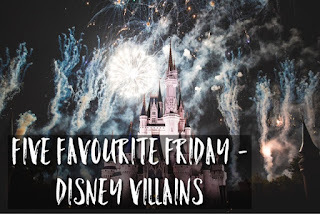 Tonight for our Five Favourite Friday post we're considering our favourite 'Disney Villains'. Disney have a lot of franchises (Star Wars, Marvel, etc) to their name, but as Nikki chose this topic I will stay true to the ideal of this topic and stick to traditional Disney villains. To help me in sticking to this premise I've used Wikipedia to define the villains I will chose from (link). 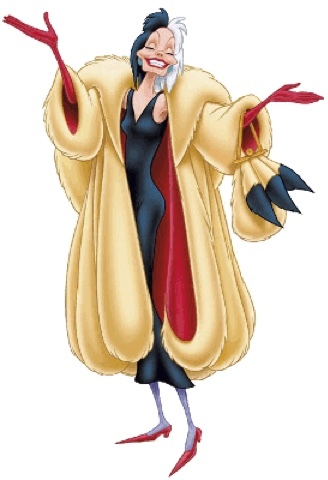 Cruella is such a believable character in 101 Dalmations, though the thought that one litter could produce so many puppies is inconceivable, an evil woman wanting to create a coat from their pelts is much more believable and her insatiable will to get hold of the young dogs to do this is more than a little creepy. She is also the source of parody in the Simpsons 'Two Dozen And One Greyhounds', when Mr Burns wants to get his hands on the offspring from Santa's Little Helper, the Simpsons dog, resulting in one of my favourite song parodies 'See My Vest'. 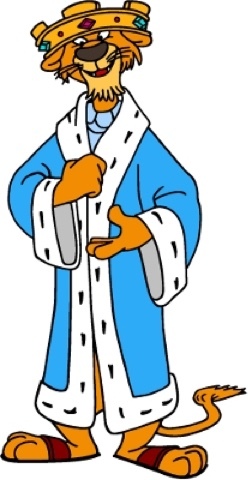 Going back to the earlier Disney films, I love the Robin Hood film and Prince John is another archetypal villain, royalty at its worst wanting to tax the peasants of England to further his own ends. I was going to include King Louis from the recent live action version of the Jungle Book, until I decided on using the list from Wikipedia. Instead I've included Shere Khan from the original 1967 Jungle Book film. 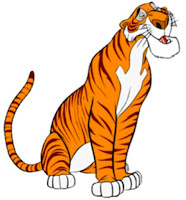 Shere Khan poses a great threat to Mowgli as he tries to take the kill that had alluded him in the past. There's no one quite like Gaston is there, such an arrogant human thinking that Belle can be won over by his reputation. He leads the local towns people against Beast as he seeks Belle attention. 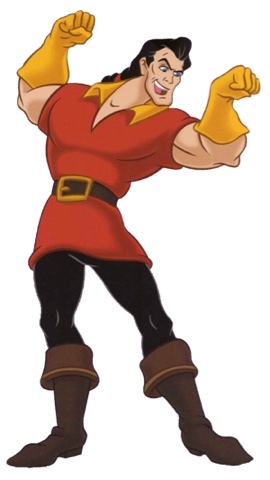 Whereas Beast is compassionate, Gaston is self absorbed and a vile person! An unfortunate chap in my eyes, who's only after Peter Pan as his youth exaggerates Hook getting older. Like Prince John, Hook offers a bit of comedy with his (understandable) fear of the crocodile that bit off his hand, it's funny to see him so scared of something bigger and scarier than Pan. 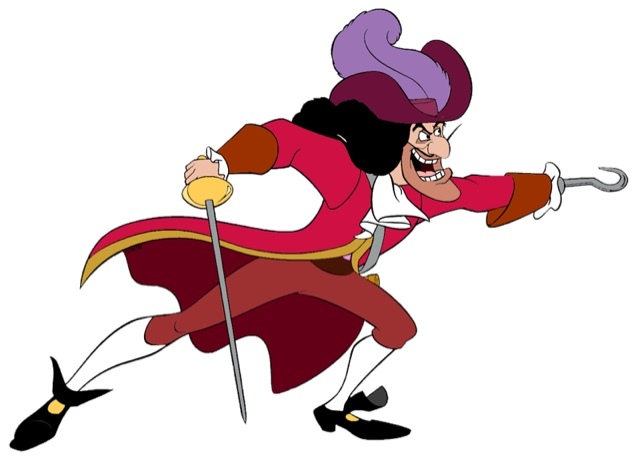 As I mentioned, I'd give an honourable mention to King Louis from the live action 'Jungle Book' (2016) who, although not the real villain of the movie, his demeanour is creepy as... Are there any villains, you think I've over looked, let me know in the comments below and as always have a look at who Nikki has included on her blog. It's my week to pick next week and I'm going to chose 'Tips For Good Mental Health' as I believe it's Mental Health Awareness Week starting on 8th May.